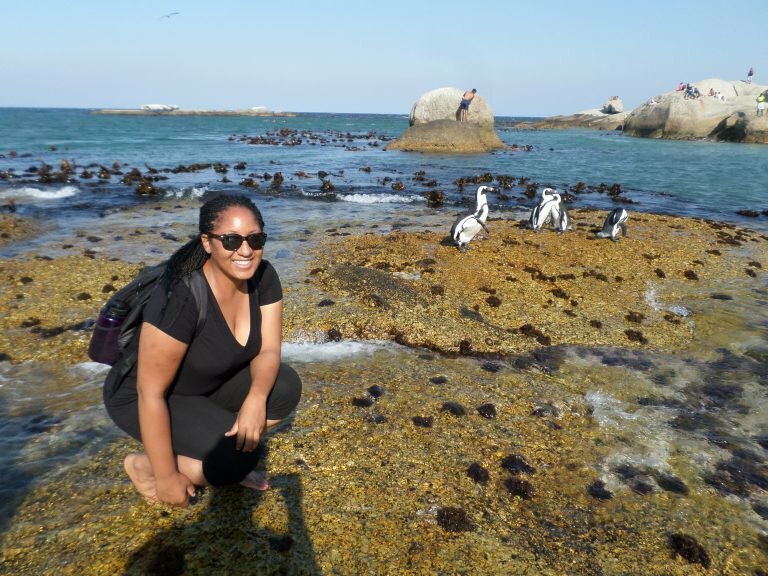 Tanisha Williams, Fulbright 2015-2016, South Africa, at Boulders Beach visiting the penguins. Among the many experiences I had, I must say the residents from the Khayelitsha township have taken a special place in my heart. This is where I taught girls and young women math, science, computer tutoring, life skills, and female empowerment through a community center program. It was such an impactful experience, as these girls are growing up in a community with high rates of unemployment, violence, and other socioeconomic issues. It was empowering for me to see the curiosity and determination these girls had for learning and changing their community. They thought I was there to teach them from my own experiences being raised in a comparable situation and now working on my doctorate as a scientist, but I know I was the one that gained the most from our time together. I learned what it truly means to have hope and persevere. These lessons, along with the ecological and evolutionary insights from my academic research, will be ones that I always remember.